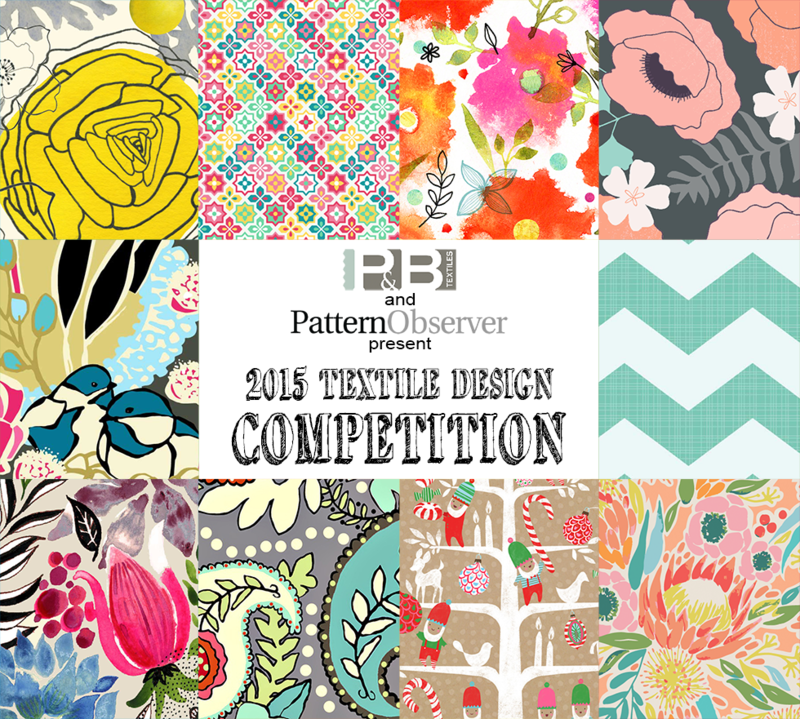 A couple weeks ago I created two designs for the 2015 P&B Textiles and Pattern Observer Textile Design Competition. The guidelines were to design a main print and coordinating print based on a brief from the fabric company P&B Textiles. I designed and submitted this Poppy Garden print and it was announced today that I'm one of the ten semi-finalists for the contest! This means I get to go on to Round 2 later this month to design another coordinating print and the winner of the contest will get a licensing contract with P&B Textiles. The licensing deal would be awesome of course but right now I'm just really excited to be one of the semi-finalists, out of 200 entrants. The other semi-finalists have some really beautiful designs and I'm thrilled to be included in this group of designers. It's been a great opportuniity to design something new and have it in front of an actual fabric company. As a semi-finalist I also get a year subscription to the Textile Design Lab from Pattern Observer. I had a shorter subscription to the Lab last year and took two of their online courses and they were wonderful: chock-full of real industry insider information and great techniques for developing a good print and collection. Those courses also really got me thinking about my main customer and using trends to develop a collection. The Lab and the Pattern Observer team also post all kinds of helpful articles and interviews about textile design so I'm looking forward to participating in that community once again. It's been a pretty great way to end the week!